Research of an international group of scientists found out, that persons living with HIV/AIDS rate the medicinal use of cannabis as more effective than other medications in the treatment of several of six common symptoms: anxiety, depression, fatigue, diarrhoea, nausea, and peripheral neuropathy (nerve pain). For this study 775 patients from the USA, Africa, and Puerto Rico were interviewed. The use of cannabis was compared to prescribed and over-the-counter medications (OTC). Participants were interviewed over a two-year period and 27 per cent said that they used cannabis for medicinal purposes. 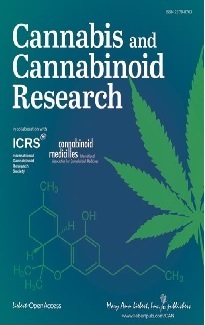 Authors wrote that cannabis use "was rated slightly more effective than antidepressants for anxiety and depression, imodium for diarrhoea, OTC medications for fatigue, and anti-epileptics and OTC medications for neuropathy" while cannabis was rated "slightly less effective for nausea than either prescribed or OTC medications." 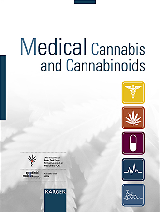 They concluded that cannabis "is perceived by users as at least as effective as prescribed medications in symptom management." A bill to legalize the medical use of cannabis is supported in both the House of Representatives and the Senate, but House supporters slowed their campaign on 6 May after fearing Governor John Lynch would veto the bill as the state Senate had already passed it. The House of Representatives voted to create a group that should try to find an agreement. The goal of the working group would be to address eight specific problems Lynch and his staff identified during private meetings with House supporters earlier this week. The most significant, State Representative Cindy Rosenwald said, was the "residential model" that would let a qualified patient or caregiver cultivate at home up to six plants or possess up to two ounces (about 57 grams) of cannabis. "His biggest issue is the lack of a centralized system to give it out," Rosenwald told her House committee on 6 May. Lynch did not say he would have vetoed the Senate-passed bill and would not comment when asked if New Hampshire should create state-run dispensing centres for medical cannabis as now exist in California. On 5 May California Governor Arnold Schwarzenegger said he welcomes a public debate on proposals to legalize and tax cannabis, which some suggest could provide a lucrative new revenue source for the state. The Republican governor, whose term in office expires at the end of next year, was asked about the idea of treating cannabis like alcohol at an appearance in northern California. "No, I don't think it's time for that, but I think it's time for a debate," he said. "And I think we ought to study very carefully what other countries are doing that have legalized marijuana and other drugs, what effect it had on those countries, and are they happy with that decision." Schwarzenegger's comments come days after a state-wide Field Poll found that 56 per cent of California voters support the idea of legalizing cannabis for recreational use and taxing its proceeds. Proponents say that taxation could generate more than 1 billion US Dollars (about 0.75 billion EURos) in revenue for the state. According to animal research with rats administration of a synthetic cannabinoid (HU-210), which acts similar to THC elicits anti-depressant behaviour, which appears to involve the noradrenergic system since this effect was attenuated by adrenoreceptor antagonists. (Source: Morrish AC, et al. Physiol Behav 2009 May 1. [Electronic publication ahead of print]). According to animal research electroacupuncture increases the anandamide level in inflammatory skin tissues, and CB2 receptors contribute to the analgesic effect of electroacupuncture in a rat model of inflammatory pain. (Source: Chen L, et al. J Pain 2009 Apr 29. [Electronic publication ahead of print]). Basic research shows that activation of the CB2 receptor protects against experimental colitis in mice. (Source: Storr MA, et al. Inflamm Bowel Dis 2009 Apr 30. [Electronic publication ahead of print]). According to basic research CBD inhibits the activity of lipoxygenase, which is involved in the development of atherosclerosis. Researchers suggested that a more potent derivative of CBD "may be a useful prototype for producing medicines for atherosclerosis." (Source: Takeda S, et al. Drug Metab Dispos 2009 Apr 30. [Electronic publication ahead of print]). In a human gastric cancer cell line, which expresses the cannabinoid-1 receptor, low concentrations of anandamide stimulated cancer growth, while high concentrations induced apoptosis, a form of programmed cell death. The anti-cancer agent paclitaxel acted synergistically with anandamide. (Source: Miyato H, et al. J Surg Res 2008 Aug 9. [Electronic publication ahead of print]).